Healthy Salads in my plate are always welcome. More colourful it is , happier I am. 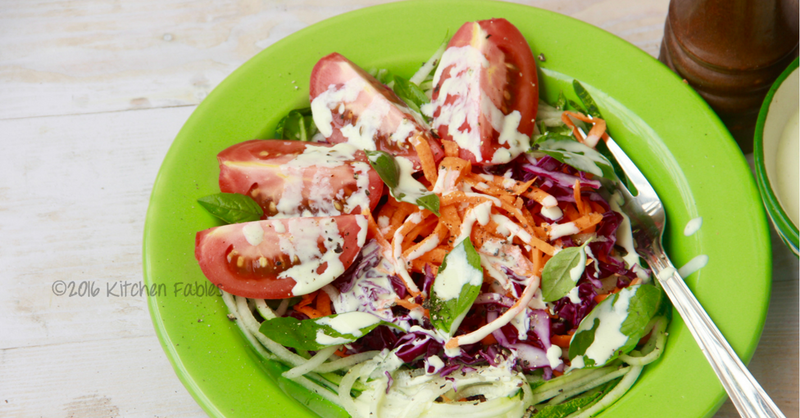 To make it more interesting I dress up my salads with a number of healthy dressings like this one. 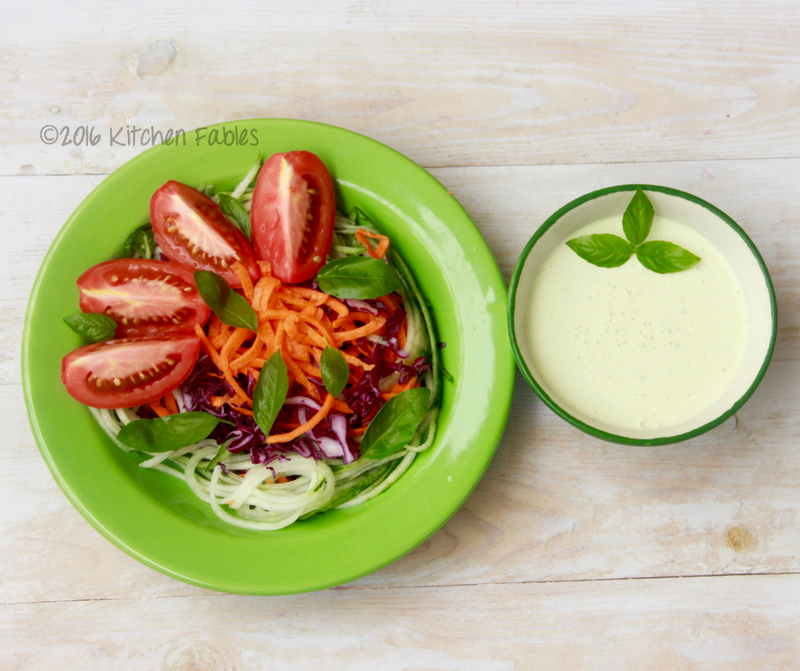 This dressing is creamy ( made without cream ), has the subtle flavour of garlic which when combined with the peppery and mildly sweet flavour of Basil makes a perfect mild aromatic dressing, that can be used for salads, burgers & sandwiches. Now that the festive season has just begun, there will be more get togethers and parties. While festivities are a good excuse to indulge try to add something healthy too. Next time you are having a get together at home use the this dressing / dip to whip a quick and interesting salad for your health conscious friends. This dressing / dip is easy to make, can be made a day or two in advance and stored in the fridge, and goes well with Spicy starters, fried finger food and even carrot and cucumber sticks. Put all the ingredients of the dressing / dip in a wet grinder and blend well, till you get a creamy dressing / dip. Store the dressing in a bottle in the fridge. 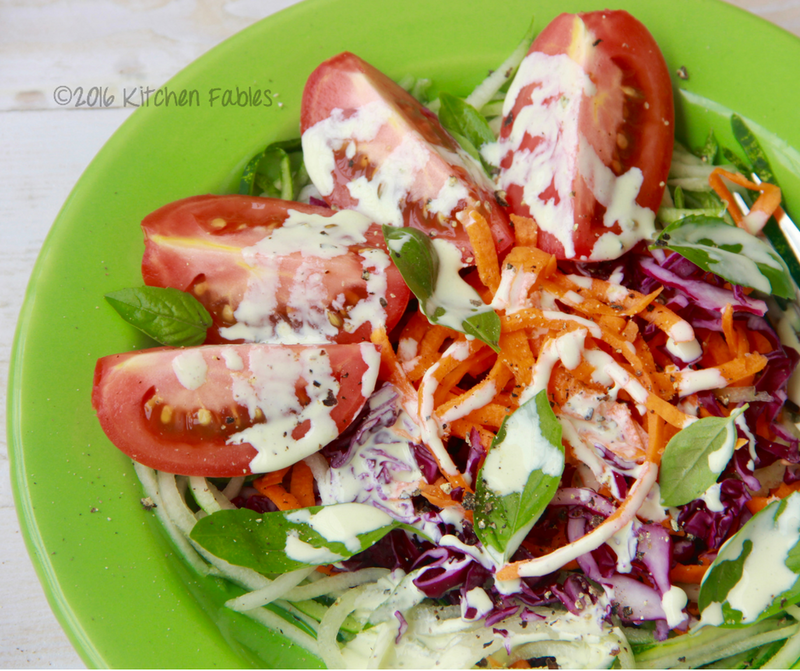 For Salad, finely chop purple cabbage , with a spiral cutter and cut cucumber and carrot. If you do not have a spiral slicer , you can also grate cucumber & Carrot. Cut the tomato into four or eight pieces. Mix all the vegetables together, season with salt and pepper and drizzle 2 teaspoon Garlic and Basil dressing. 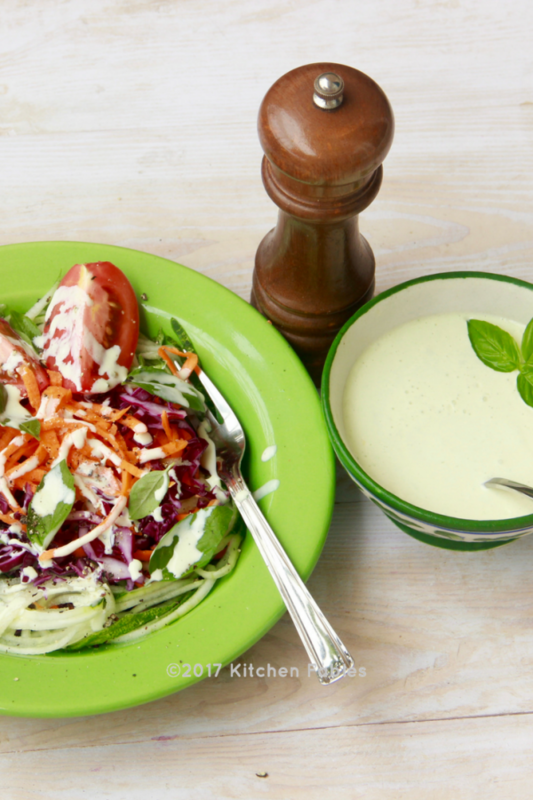 If you are preparing the salad in advance , keep the dressing and salad separately in the fridge. 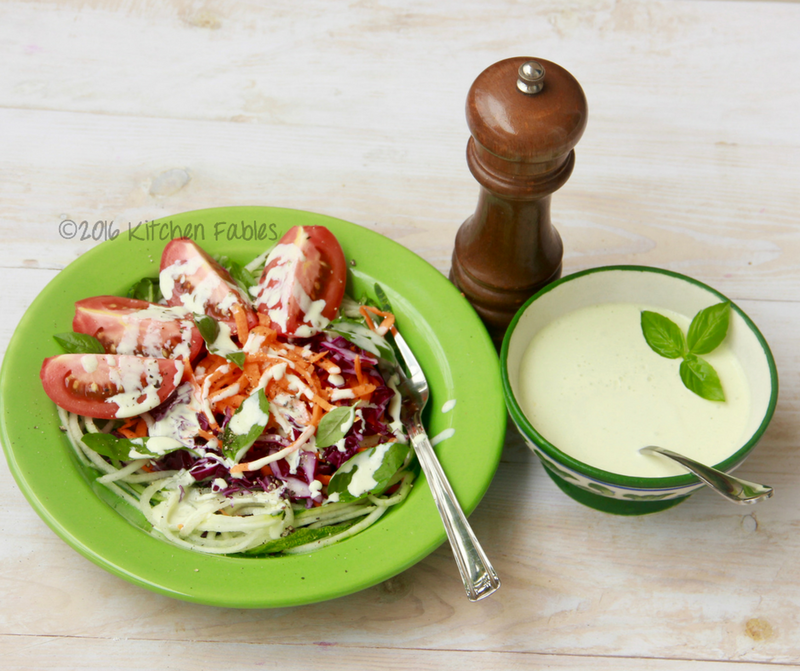 Drizzle the dressing just before serving. Thanks Arun !!! Much needed in midst of indulgence during festivities !!! Hi Paluk, Happy Ganesh Chatruthi to yu and family!!!! 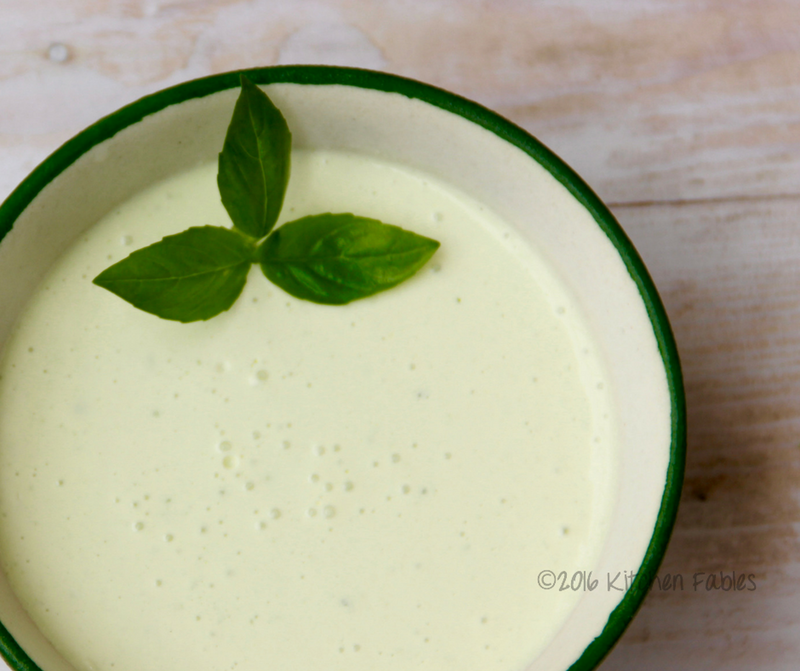 Your Healthy salad dressing and creamy basil… looks yummy and so very easy to make. Tks, I need this and will do so. 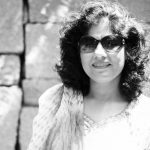 Thank you Monica for your wishes …. wishing you and your family happiness and health ! !